My life may not be perfect, but at least I haven’t had THIS happen to me. Thinking that the eels would make him look ten years younger, Nan dived into the water and let them feast upon layers of dead skin. Oh yeah, that would definitely ruin my day. 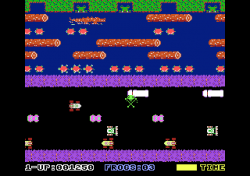 I’ll leave out the photograph of the eel from the original article, but you can see it at the link above if you’re really that curious. This is why I try to keep my sense of vanity as low as possible. I do the basic grooming stuff like bathing, shampooing what little hair I have, using deodorants, etc., but I don’t bother with worrying about how wrinkly I’m getting or whether I’ve used the proper amount of moisturizer on my skin. I’m getting old and I look like I’m getting old and I don’t really give a damn that I look like I’m getting old. Looking younger is just not worth having some tiny animal try to crawl it’s way up inappropriate orifices in ways both painful and embarrassing. Sure I may not have excelled in the past year and might have been unemployed for awhile, but at least I didn’t do a face plant while trying to show off in some stupid fashion. Some of these had me grabbing my balls in sympathy pain. SEB Safety Tip: Life doesn’t have a reset button. Kinda like this, but more painful. CLEMSON, S.C. — Clemson police said a game ended up with a 23-year-old man struck by an SUV. Emergency crews were called to the intersection of Highway 123 and College Avenue at about 9 p.m. Monday. […] Police said before he was hit, the 23-year-old yelled “go” and darted into oncoming traffic where he was struck by a 2010 Lexus SUV. 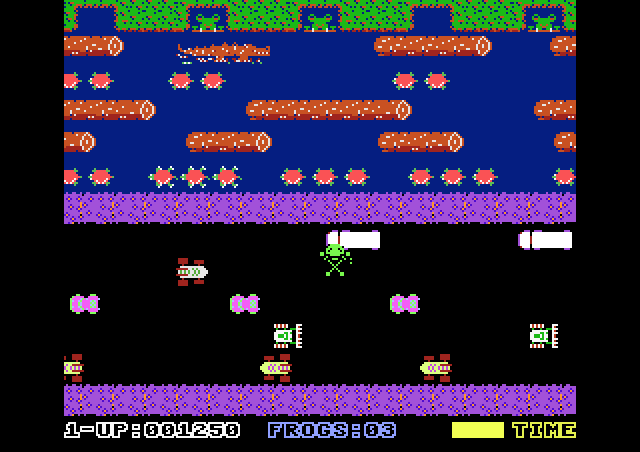 There’s a reason Frogger is just a video game and not an organized sport and it’s nothing to do with the fact that you play a frog. This potential Darwin Award winner managed to luck out, however, and wasn’t killed by the SUV. Though one would hope it knocked a little sense into him. 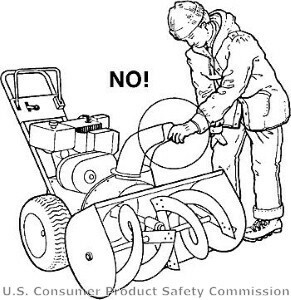 SEB Safety Tip: Clogged snowblowers should be cleaned with a stick, not your hand. Unlike the previous SEB safety tip, this is one that some folks might need to be told about. At 14, Kenny McGill was a veteran snowblower user, taking on the task of cleaning off the driveway and sidewalk of his family’s Plainfield home for the last three years. So his mother, Sheila McGill, was shocked when she got a call Dec. 10 saying the teen had mangled his hand while doing the job. Kenny lost half of his index finger, and surgeons had to reconstruct the middle finger of his right hand. He told his parents he used his hand to clear clogged snow out of a collector chute, and an unseen blade caught it, his mother said. The teen faces physical therapy and a long healing process. via Snowblowers offer winter help, but blades pose hazard – Chicago Breaking News. Most of the bigger snowblowers will come with a tool specifically for this purpose, but if yours didn’t then improvise with something other than your hand and turn the damned thing off before trying to unclog it. Sure that means you have to start it back up again, but at least you’ll have all your fingers to yank on the starter cord with. SEB Safety Tip: Don’t try to clean your fireplace while you still have a fire in it. COLORRADO SPRINGS, Colo.—A Colorado Springs man who tried to clean his natural-gas fireplace while it was still lit nearly roasted himself over an open fire. He was hospitalized with second-degree burns. via Colo. man burned while cleaning lit fireplace – The Denver Post. So remember kids: Be sure to turn off the gas fireplace and let it cool down before attempting to clean it. And you should probably use something that isn’t highly flammable itself to clean it with. 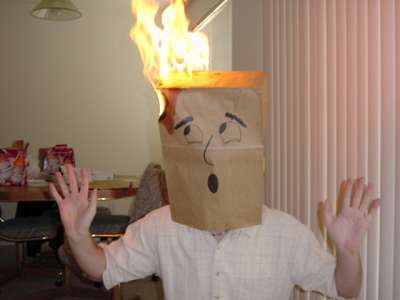 If you’re not sure what you’re doing then perhaps it’s worth the expense to hire a professional chimney sweep. Of course, if you’re as big a dumbass as this guy was then you’re probably not going to listen to this sage advice anyway. When Christmas Pageants attack! Next on FOX! Don’t be mad at the camel, he was just trying to do the right thing and sit in a pew like all the other congregants. Can you imagine being killed in church from having a 1,100 pound camel falling on you and then having to explain that to Saint Peter at the pearly gates? If God does exist he has a twisted sense of humor. Via Camel in church — Chez Oswell. Momma is in the hospital. My mother took a fall today and broke one of her legs. It looks to be a pretty bad break and she’ll probably be in the hospital for a few days as they sort out what to do about it. I don’t have a lot of details at the moment, but as soon as I do I’ll post an update. This means my blogging will probably continue to be somewhat light as I’ll probably be involved in helping take care of her or my Dad at some point in the near future as she recovers. I’m making an effort to try to get back into blogging more often, but this will obviously occupy some of my time and attention. In the meantime I invite anyone who’s registered an account to submit entries which I’ll attempt to get posted ASAP.